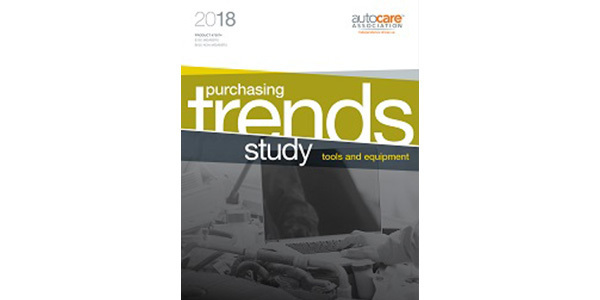 The Auto Care Association has announced the release of its latest market intelligence research publication, “Purchasing Trends Study – Tools and Equipment 2018.” The report defines and explores the key factors influencing current and future purchasing decisions of professionals who utilize shop tools and equipment for automotive repair. Analysis on the internet purchasing experience, including reasons, time spent and cost influence and more. The analysis and presentation of the data in this new report were compiled from a nationwide survey of repair shop owners, service managers, parts managers and technicians, including results from previous years of Tools and Equipment Purchasing Trends surveys in order to provide a historical trend. The Purchasing Trends Study – Tools and Equipment 2018 report is available to Auto Care Association members for $350 and non-members for $850. For more information or to order, visit digital.autocare.org/toolequip2018.